One of the best ways of getting a message across to somebody you aren't on close personal terms with is by sending them corporate ecards. There is one to cover literally every situation and event and is a way of letting somebody know you are on their side, something we all need to know from time to time. One area where you may find yourself in this situation is in the workplace, where you may have many business associates you feel awkward about voicing your feelings to face to face. These Opportunities ecards speaks volumes if you are trying to convey the message that the recipient should grab the chance they are being offered. A lack of self confidence is the number one reason for reticence in the workplace, and knowing somebody believes in you can make a huge difference. 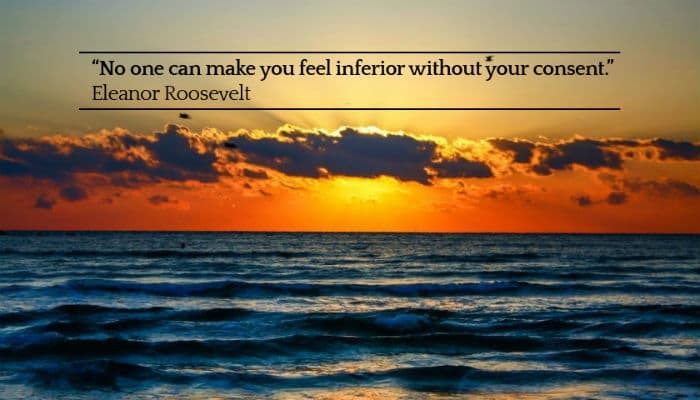 The image on the ecards is of a sunset over an ocean, and the text is a quote from the former First Lady Eleanor Roosevelt; “No-one can make you feel inferior without your consent”. In other words, if somebody's words or actions are putting you down it is because you are letting them. Grab that opportunity and show them what you are really made of. Would your business clients respond well to receiving amazing ecards this coming Christmas holiday season? Of course they would so pop over and check out our electronic Christmas cards for business for yourself.